This bundle is a combination of my favorite grammar units! Grab everything you need to teach nouns, verbs, and adjectives. I've also included a few new files to give you a sneak peek at some of my best-selling games and whole-class activities. 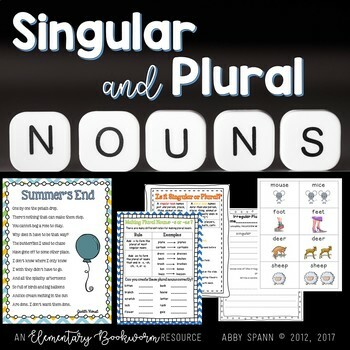 This unit on singular and plural nouns is PACKED with 50+ pages of ready-to-go classroom materials. 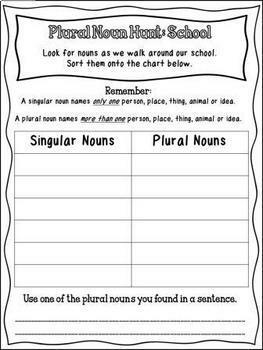 You'll get 2 printable games that reinforce regular and irregular plural noun spelling rules using 30 different noun cards. 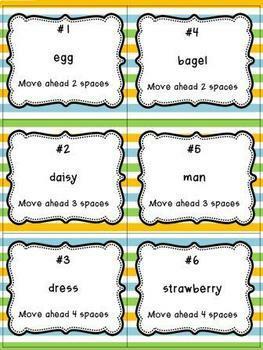 These can be played in small groups or with partners. There are multiple student activity pages, 5 anchor charts and reading or grammar journal response activity. 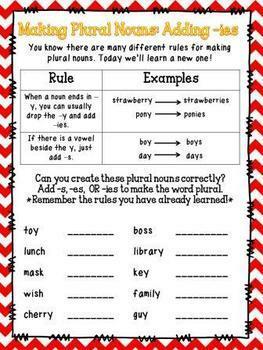 I've also included a poem and correlating activity that reinforces plural noun recognition. These activities are easily adaptable for the ESL or Inclusion classroom. LA.2.ELACC2L1.b - Form and use frequently occurring irregular plural nouns (e.g., feet, children, teeth, mice, fish). LA.3.ELACC3L1.b - Form and use regular and irregular plural nouns.